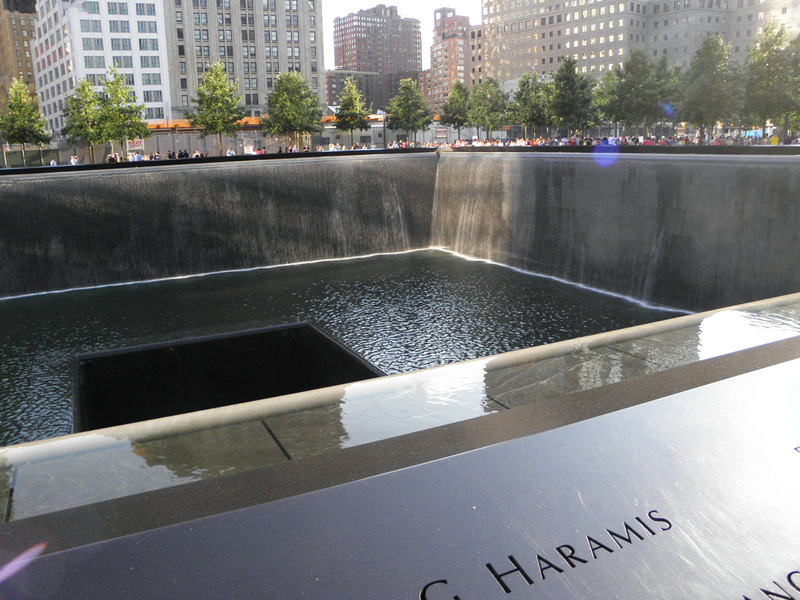 North pool – Where the North Tower once stood. 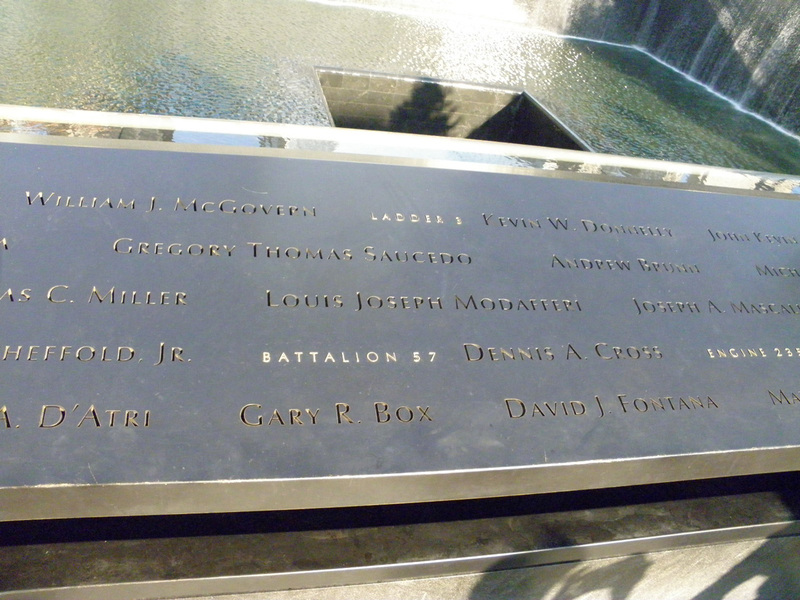 Names inscribed commemorating those who died. 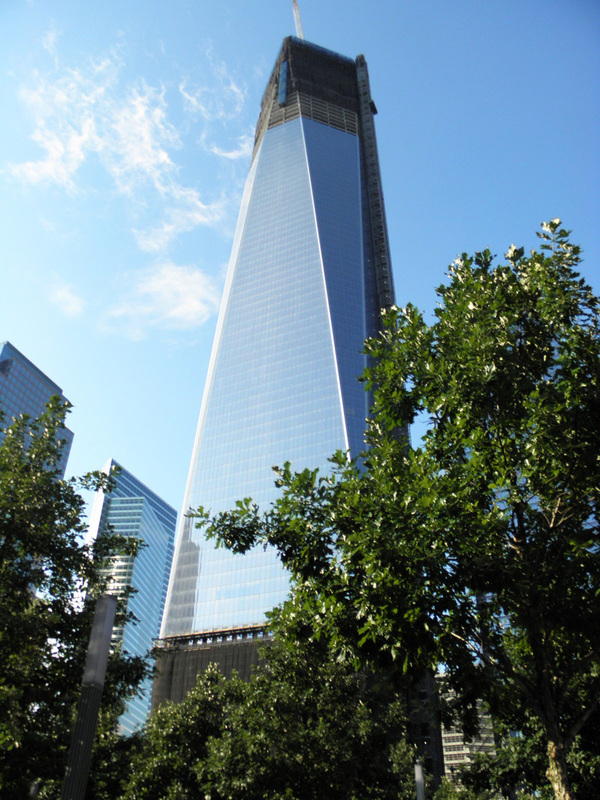 Shot of the Freedom Tower from the 9/11 Memorial. 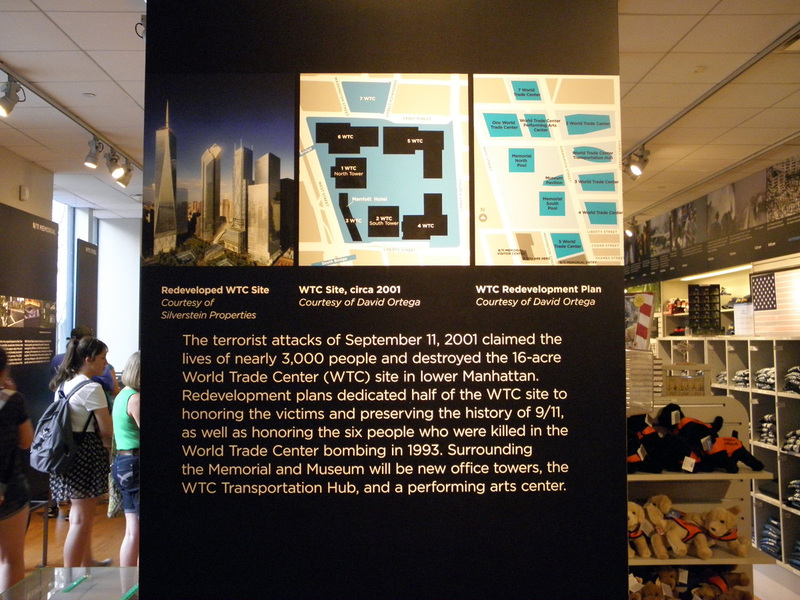 Map of the World Trade Center site before the attacks followed by the redevelopment plans. 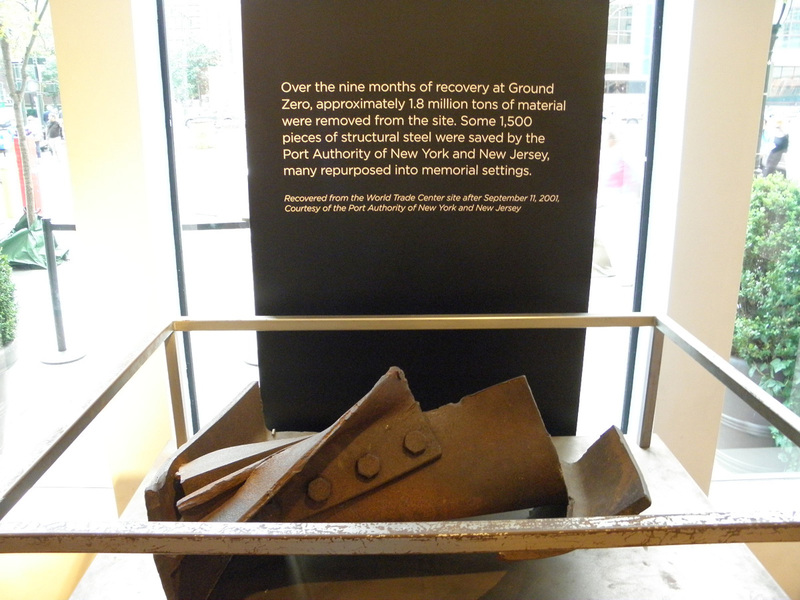 A piece of the structural steel saved for display. 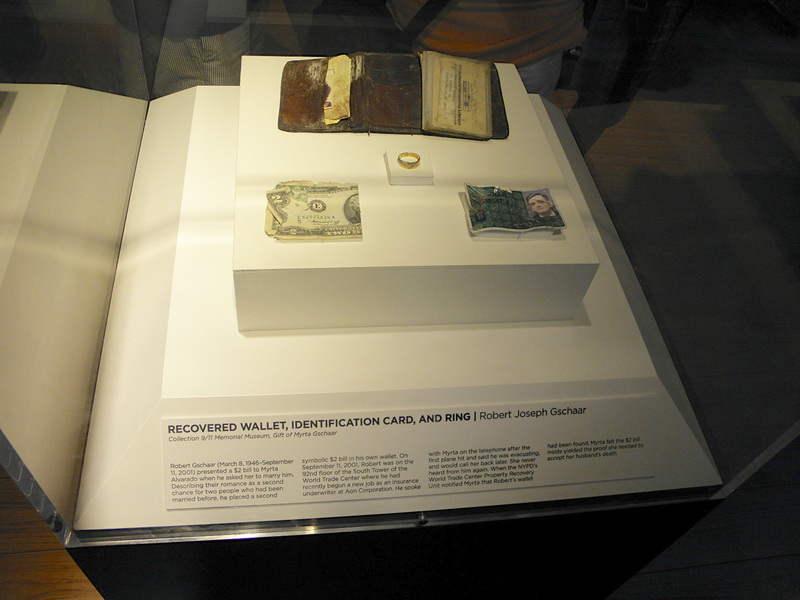 One of the exhibits putting a human face on the tragedy. This entry was posted in New York. Bookmark the permalink. The video just gives you an idea – amazing to see firsthand. Quick heads up that your Dad’s Flash Gordon page he did with me will be shown at the following exhibit come the end of September. Here’s the page in color.